What would you do if your husband blurts out that he wants a divorce, right before you’re about to tell him that you’re pregnant? When Lucy tells her husband she’s expecting, Jack reconsider his offer – and wants to stay married, but only as friends, so that they can raise their child together. While Lucy isn’t in favor of this arrangement, she still loves her husband, so she decides to take him up on his offer for one year. A lot can happen in a year, especially while still living together. Will they both find someone else to be with, or will they bond over the pregnancy and baby, and come back to one another, and have the family they always wanted to? When Jennifer Coburn emailed me a couple of days after Christmas asking me to review her book, “Tales From The Crib,” I was so excited because I had heard very good things about it, and I liked the storyline. Right from the start, I was hooked on this hilarious and heartwarming book. I loved that Jennifer’s book begins right in the middle of the action, and not once did I get bored with it along the way. I think this is why it was such a page-turner. After Lucy agrees to his insane idea, I was surprised at how well they got along, (even with Jack’s new woman in tow). One thing I liked a lot was that while Lucy could have pushed Jack away, not giving her “marriage” one last chance, I thought it was really sweet how it showed that these two really loved one another. In the mix of wonderful characters, Lucy’s vivacious mother and spunky aunts were so funny, that they all had me laughing out loud, (so much that my husband even commented on how much I was laughing). One might think that from the title and cover, this book is all about the baby, but it’s not. While I am a wife and not yet a mother (but hope to be someday), I was surprised about how much I loved and could relate to Lucy. 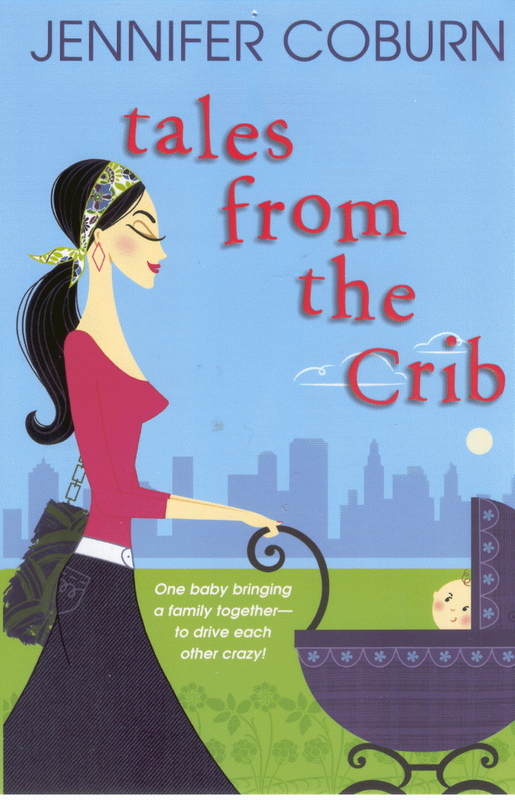 “Tales From The Crib” is a beautifully written book about family and relationships. Through the ups and downs, each relationship seemed to grow stronger, which I found very refreshing. **Click HERE to read my Guest Interview with Jennifer!